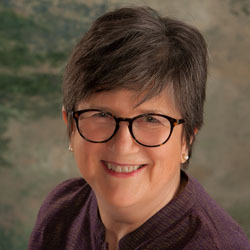 Insurance - Portland Jungian Analyst - Carol Walnum, MA, MBA, LPC. The Affordable Health Care Act mandates that mental health therapy be offered via your health insurance policy. Before you purchase your or your family’s policy, ask about out of network benefits and deductible amounts (the amount you have to pay before benefits cover costs). Insurance: Blue Cross Blue Shield of Oregon, Pacificsource, and Lifewise of Oregon list Carol on their Preferred Provider Panel. Carol is “out of network” for other insurance panels, but she quickly electronically bills out of network providers after each session. She accepts payment in session and bills the company for you. Therefore, before entering therapy with Carol or anyone, call your insurance company to be clear about the nature and extent of their mental health therapy benefits. Ask about out of network reimbursement. Ask about any deductible for mental health benefits. Working with Carol Out of Your Insurance Network: I accept my regular fee from you at the end of each session. Within 48 hours, I electronically bill your insurance for the session via a HIPPA level encrypted software, directing them to send any reimbursement owed within your policy to you. Again, please check your deductible for out of network providers. Declining to Use Insurance: Should a person be covered by mental health insurance benefits but decline to use them with my practice, the person must sign a “Private Pay Agreement” which waives any future right to bill the insurance company. Should an insurance plan decline treatment provided by my practice and should the person wish to continue in therapy, details of this agreement also apply. For Seniors: Licensed Professional Counselors like myself are not permitted to accept Medicare insurance. This is due to Federal omission of that license from the Affordable Care Act. To compensate for this omission for the many seniors who wish to see me, I offer a senior rate. Please call my office to discuss this option. Counseling and therapy are investments in yourself, your healing, and your growth toward wholeness. You are working on yourself, work that is vital. Each person is unique, so reasons for seeking therapy vary with the person. Each reason is valid.